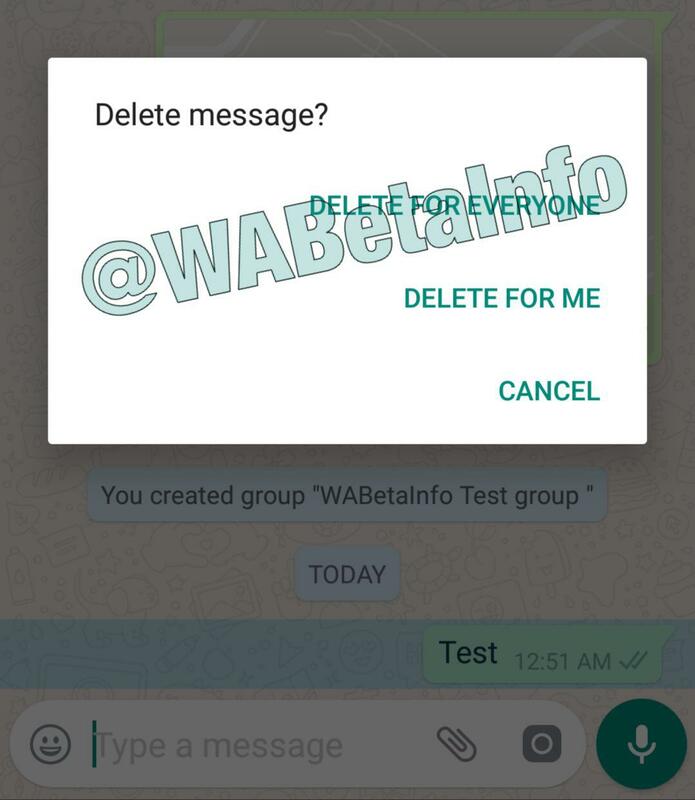 The Delete for Everyone feature works for any message type in WhatsApp: text messages, images, videos, GIFs, voice messages, stickers (in future), contact cards, files, locations, quoted messages and status replies. But how the Delete for Everyone feature really works? 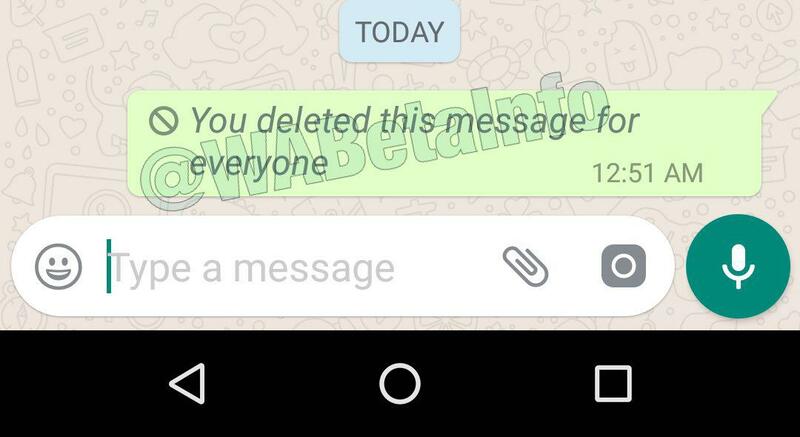 When you delete a message for everyone, your WhatsApp sends a fake copy of the message to the recipient. When the recipient will receive your copy, his device won’t show you the notification and it won’t save it in his chat history, but it will check if there is the ID of the message in the database: if it will find the message, the message will be correctly revoked (if the recipients are using the latest version of WhatsApp). · It’s not possible to delete for everyone messages sent in a Broadcast List. 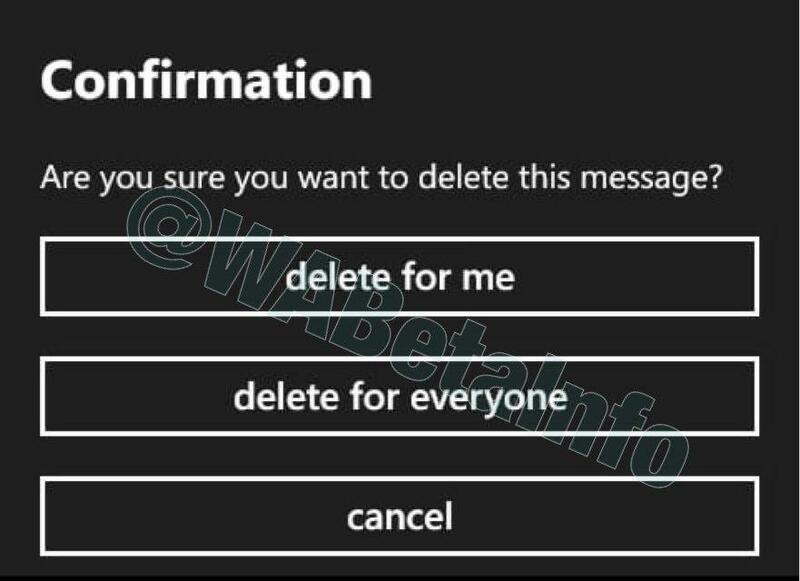 · Be sure to be fast, because you can delete for everyone messages within 7 minutes, after witch you won’t be able to revoke them. · It’s very necessary that the recipient has the latest WhatsApp update installed in order to get the delete for everyone operation working, otherwise it will fail. 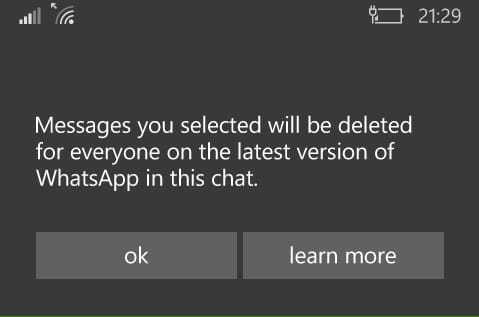 WhatsApp took care to make the delete for everyone feature working for older versions too, but obviously it won’t work if the other user has a very old version where Delete for Everyone hasn’t been implemented yet. This can be a reason why they were waiting so much time to enable the feature. Note that these old builds where the delete for everyone feature wasn’t implemented should be all expired. 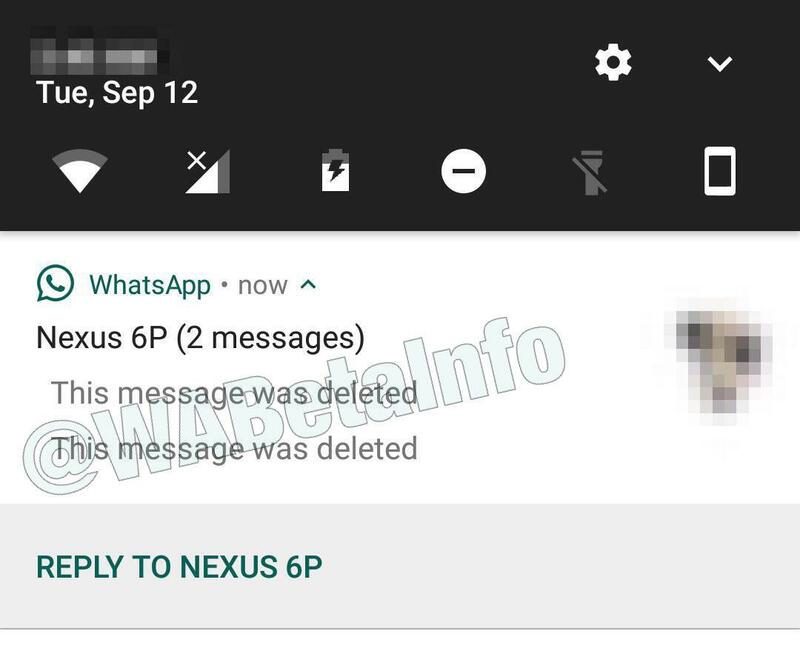 Note that WhatsApp won’t notify you if the message was successfully recalled or if it is failed for the reason abovementioned, also if you read in the bubble “This message was deleted for everyone”, that is only a simple indication. If you didn’t receive the activation yet, you may try to reinstall WhatsApp in order to download from the server the latest configuration, if it’s already available for you, but note that if this won’t work, you have to wait only a little more. · Open your WhatsApp Settings > Chats > Backup and perform it. · Delete WhatsApp (and be sure to remind your Two-Step Verification PIN if you have previously enabled it, because WhatsApp may ask it later) and reinstall the latest stable version available from the store. · Configure your WhatsApp, inserting your phone number again, the SMS code and the Two-Step Verification PIN (if you have previously enabled it), restore your chat history and verify if recalling is possible for you, sending a new message. You can check the official WhatsApp FAQ here. Let us know on Twitter if you already received this feature, and how, and have fun to try deleting messages for everyone in WhatsApp! Next PostNext WhatsApp beta for Android 2.17.402: what’s new?